Porsche Junior Marco Holzer launches into his third year of training in 2010. The 21-year-old will compete for customer teams in international GT racing. His first event in the new season is the 24 hour race in Dubai on 15th and 16th of January. In Dubai, he is driving with Raymond Narac and Porsche works driver Patrick Pilet in a Porsche 911 GT3 RSR fielded by the IMSA Performance Matmut team. 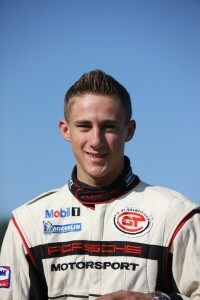 During his first year of training, Holzer contested the Porsche Carrera Cup Germany. The youngster climbed the podium three times and snatched victory at the season final in Hockenheim with a Porsche 911 GT3 Cup - contributing greatly to the Porsche Junior team claiming the team championship. In his second year as a Porsche Junior, the German contested the FIA GT Championship and again clinched victory at the last race with the Porsche 911 GT3 RSR.